Heat oven to 350°F. Bake French loaf as directed on can. Meanwhile, in 2-quart saucepan, melt butter over medium heat. 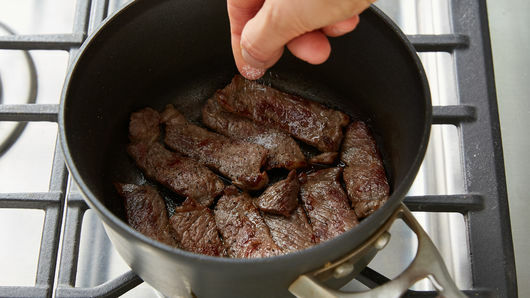 Add beef strips; sprinkle with salt and pepper. Cook and stir until browned. Stir in soup; heat to boiling. Reduce heat to medium-low; simmer uncovered 20 minutes. 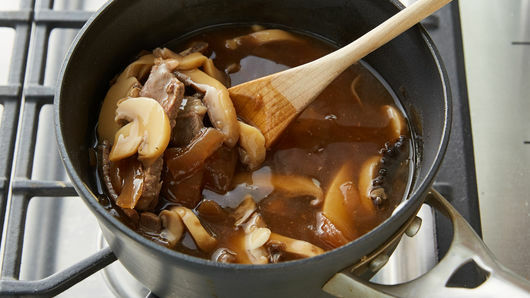 Stir mushrooms into soup; cook until thoroughly heated. Cut 2 (1-inch-thick) diagonal slices from warm loaf; reserve remaining loaf to serve with soup. Set oven control to broil. 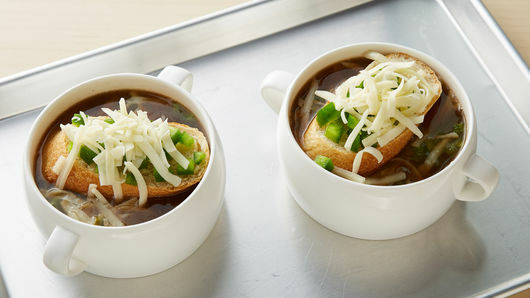 Ladle soup into 2 (15-oz) ovenproof bowls. Sprinkle 2 tablespoons of the cheese onto each serving. Top each with bread slice. Sprinkle bell pepper and remaining cheese evenly over each. 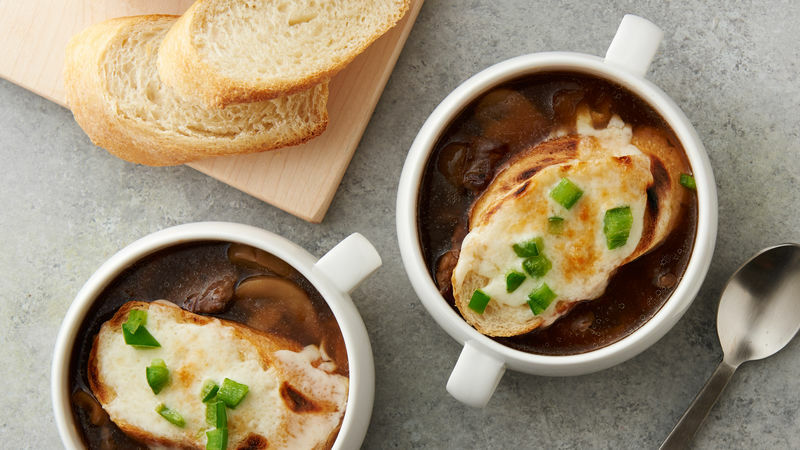 Place bowls on cookie sheet; broil 4 to 6 inches from heat 1 to 2 minutes or until cheese is bubbly and bread is toasted. 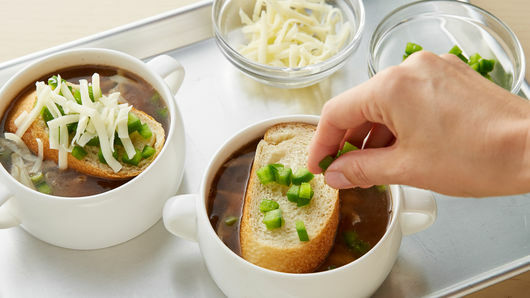 Serve soup with remaining slices of loaf.